Many of our customers often bring in used jeeps they have purchased for us to do updates, modifications or sometimes for a full restoration job. 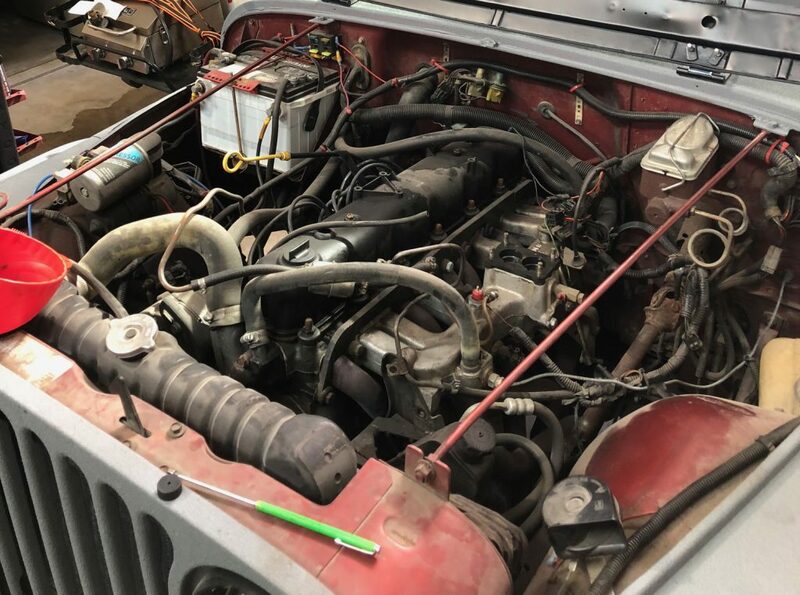 Very often, the jeeps they purchased generally look ok but are actually in an awful condition with rusted frames, bad wiring, severely worn drive line and is not an easy or inexpensive fix. If you are in the market for, or intend to purchase a jeep in the future, here are some helpful tips you should keep an eye on before you start spending. Check the engine. Open the hood and inspect the hoses for cracks and wear. Check the radiator and oil. Make sure the fluids are not low and do not appear dirty or smell burnt. The older jeeps normally have a four or six cylinder engine and transmission. If you plan to go off-roading, the six cylinder is better choice. They have more power and do not break as easily. Start the engine and listen to it purr. Listen for knocking or ticking. Check the exhaust and make sure there is no smoke coming out this could indicate a major engine problem. Check the tires for wear and tear. Check the tread. There is a manufacture date on the tire and tires normally last about 4 years but can be good for as long as ten years.. Think about the exterior and whether you want a hard top which is more durable or a soft top which needs a little more protection. Check the interior for rusted floor pans, cracked or torn seats and any loose fixtures. At Overbuilt we want our customers to have satisfying experience with their Jeep and we encourage anyone looking to buy a used Jeep to bring it in to us for a free inspection and recommendation before buying.